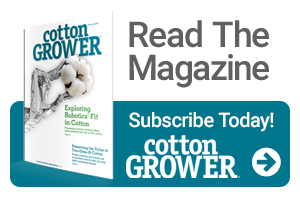 Building on USDA rankings that featured three PhytoGen varieties with the Enlist cotton trait (W3FE) among the top 20 varieties planted in 2018, PhytoGen is offering growers a full portfolio of these Enlist varieties in a broad range of maturities for 2019. “For every pocket of the Cotton Belt, we’ll have W3FE varieties that fit – all with bacterial blight resistance,” said Joel Faircloth, PhytoGen U.S. Cotton Portfolio Manager. With the 2019 portfolio, PhytoGen completes a full integration of WideStrike3 Insect Protection and the Enlist cotton trait across its portfolio. And, each of the PhytoGen brand varieties has PhytoGen Breeding Traits for built-in protection against diseases and pests. The company’s popular Northern High Plains variety PHY 250 W3FE returns, accompanied by a new 200 series W3FE. These two early maturing varieties offer excellent, consistent yield and fiber quality. These smooth leaf, shorter stature varieties are best suited to areas with moderate to good water and medium to heavy soils. Both are storm-tolerant and carry the PhytoGen Breeding Trait for excellent Verticillium wilt tolerance. PhytoGen expands the widely planted 300 series varieties launched last year – PHY 300 W3FE, PHY 330 W3FE and PHY 340 W3FE – and adds PHY 320 W3FE and PHY 350 W3FE to round out the high performing series. PHY 350 W3FE is very broadly adapted and in high demand across the Cotton Belt. While PHY 320 W3FE is also broadly adapted, it’s a standout in the Mid-South. Both products offer root-knot-nematode resistance. PhytoGen will add three new 400 series varieties in 2019 – PHY 430 W3FE, PHY 440 W3FE and PHY 480 W3FE. These mid-maturing varieties all provide bacterial blight resistance, while PHY 440 W3FE and PHY 480 W3FE also feature root-knot-nematode resistance (RKN). “PHY 430 W3FE has the potential for exceptional yield,” said Faircloth. “It’s broadly adapted across the Cotton Belt, but the primary fit is in the Delta and the Southeast. It will do very well, particularly on strong ground. “While PHY 440 W3FE has the potential for exceptional fiber quality like PHY 444 WRF, it will be an exceptional variety in fuller-season environments such as South Texas and Georgia, where they can maximize fiber quality,” he added. Five PhytoGen brand varieties, including PHY 440 W3FE, were among the top eight cottonseed varieties most resistant to RKN in a recent Texas A&M University RKN variety trial. In the trial, PhytoGen brand PHY 480 W3FE ranked as the top RKN-resistant variety in the upland market. PhytoGen will again offer high-performing PHY 450 W3FE and PHY 490 W3FE, primarily for the southwestern Cotton Belt. A new 500 series W3FE variety rounds out the broad W3FE portfolio PhytoGen is offering for 2019. With 75% of the western U.S. cotton acres planted to PhytoGen, the company will again offer the popular Acala variety PHY 764 WRF. In addition, growers can choose from Pima varieties PHY 841 RF, PHY 881 RF and PHY 888 RF. All PhytoGen Pima varieties feature the PhytoGen Breeding Trait for Fusarium (FOV) Race 4 tolerance. More information about high-quality Pima and Acala varieties, new 2019 PhytoGen W3FE varieties and PhytoGen Breeding Traits is available online, or from your local PhytoGen territory manager or PhytoGen cotton development specialist.